When approached to tackle a complete overhaul of Armor’s website, we paid special attention to functionality. 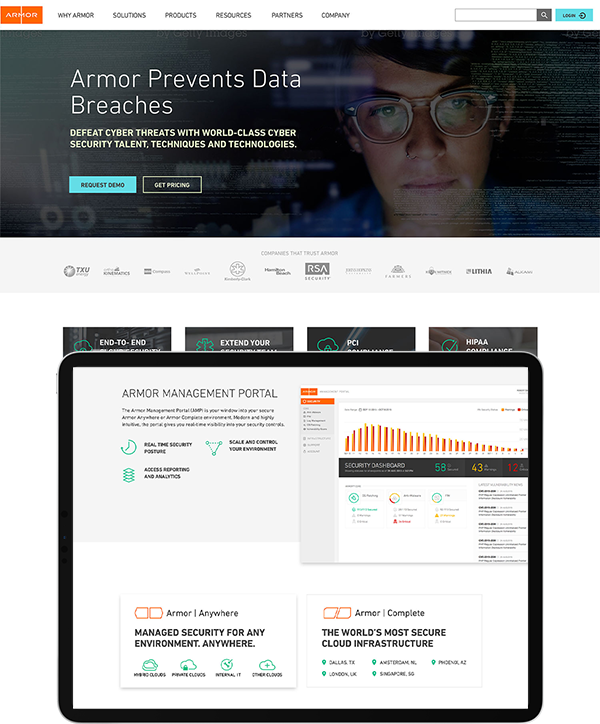 Armor simplifies the struggle of data-driven organizations in every industry to effectively defend themselves against active cyber threats. As such, Armor needs to quickly be able to update content, drive awareness, and reconfigure its site on a regular basis. Gone are the days of slow loading times. 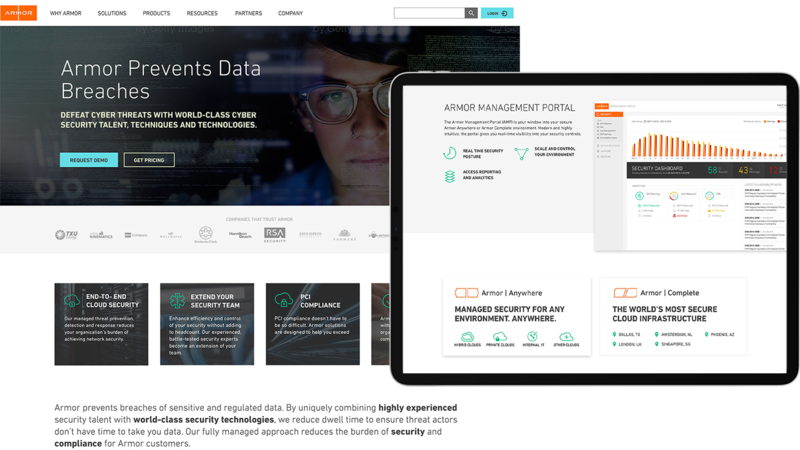 Welcome to blazing fast speeds, crystal clear messaging, and modular functionality so Armor is able to quickly pivot to meet the needs of its growing client base.